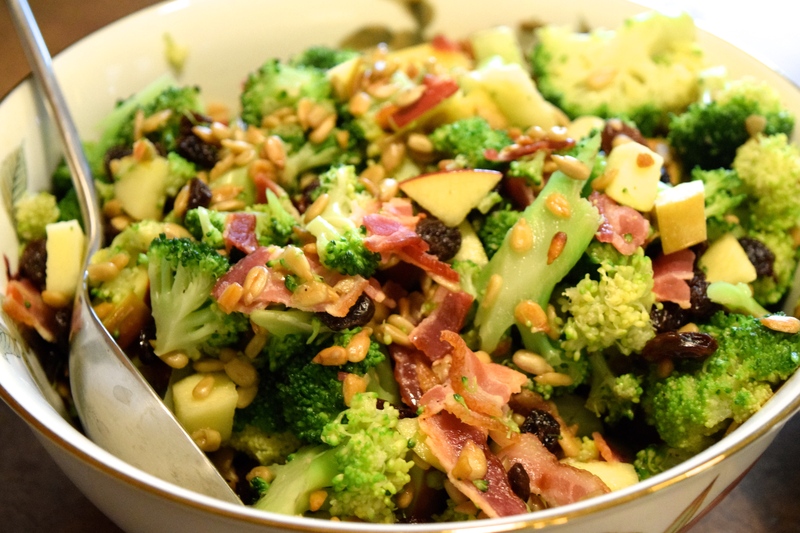 Broccoli & Bacon Salad with Apples, Raisins, Sunflower Seeds in a Honey Apple Cider Vinaigrette. I made this salad for my friend’s baby brunch a couple of months ago. 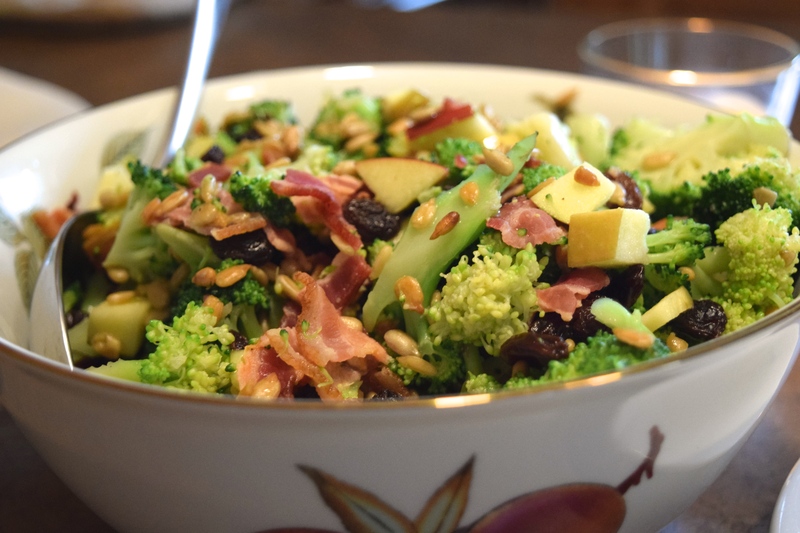 There are a lot of broccoli salad recipes out there that are super heavy and covered in mayo, so I wanted to make a lighter version that still had all the great flavors. 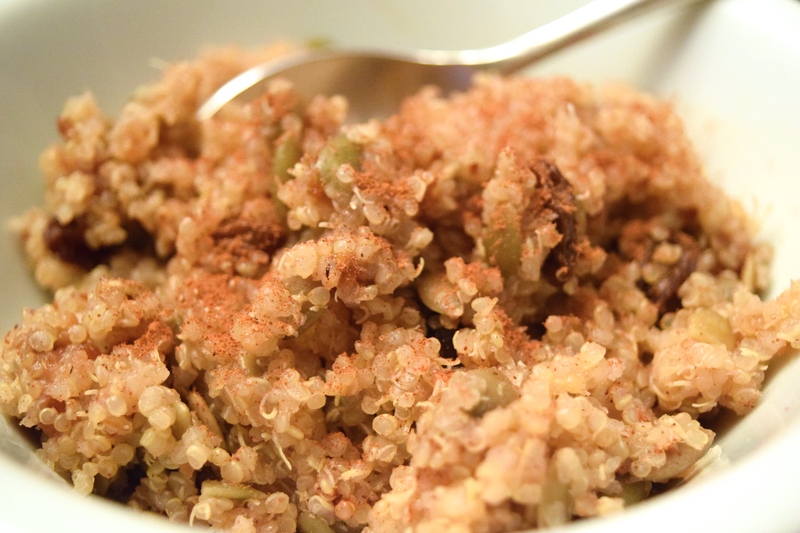 This salad is sweet, savory, crunchy and very delish! 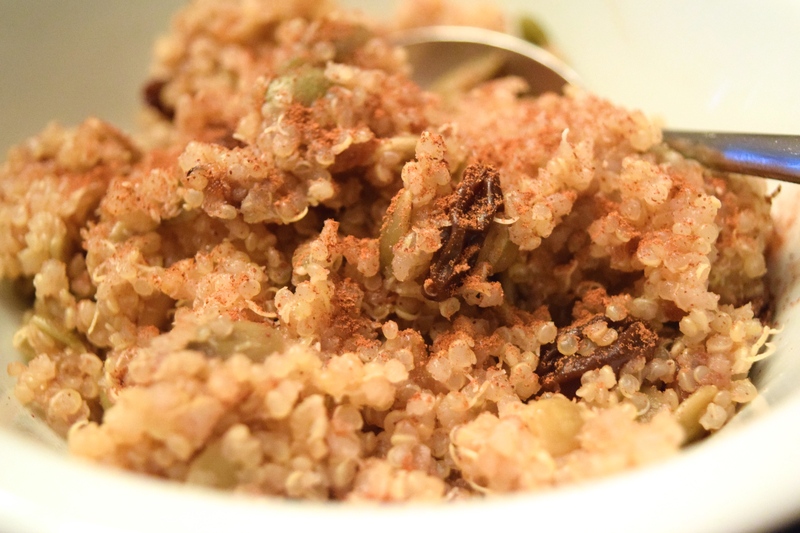 The honey apple cider vinaigrette adds a subtle tang that brings it all together. Begin by cooking the broccoli. Heat a large pot of water and once boiling, add the broccoli and boil for 1 minute. Drain the broccoli and run it under cold water for 1-2 minutes so help stop the cooking. Once cooled, line a large bowl with paper towel and put the broccoli in the bowl, gently using the paper towel to remove any excess water. In a mixing bowl, add the olive oil, apple cider vinegar, honey and mayonnaise and whisk well to combine. Season with salt and pepper to taste. 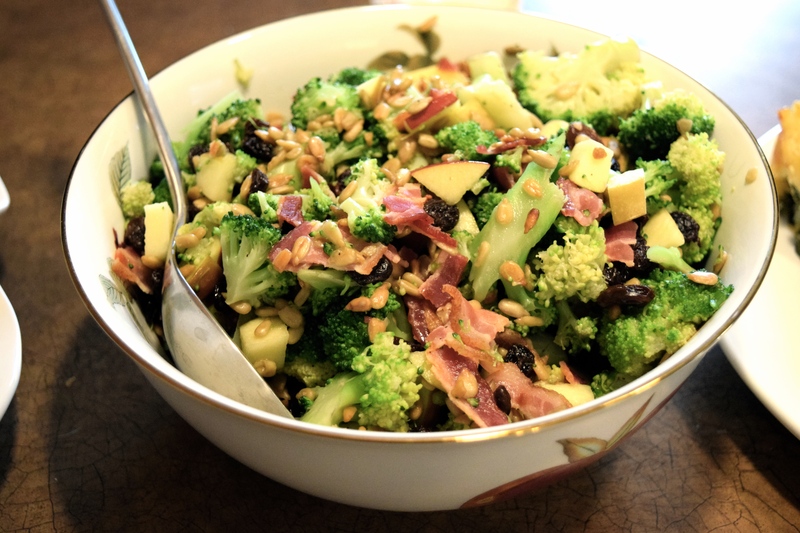 Put the broccoli in a serving bowl and add the bacon, apples, sunflower seeds and raisins. Pour the dressing over top and toss to combine. 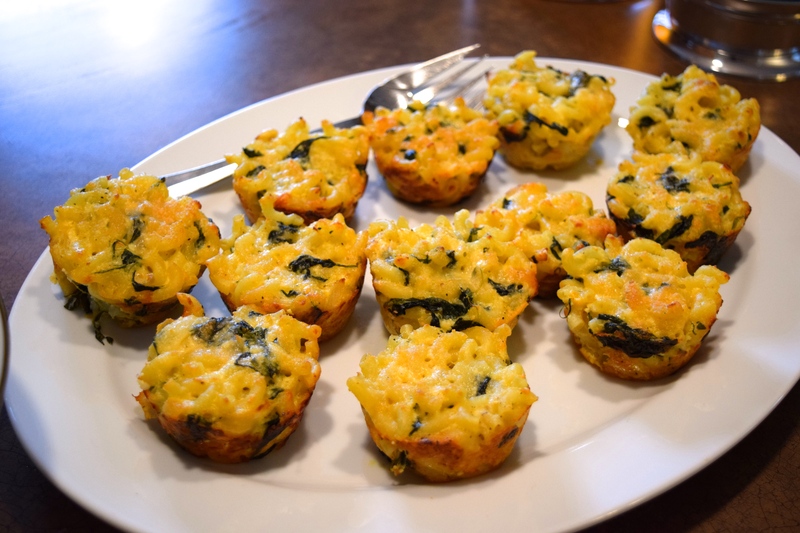 Mac & Cheese Cupcakes with Ricotta, Spinach & Onion. 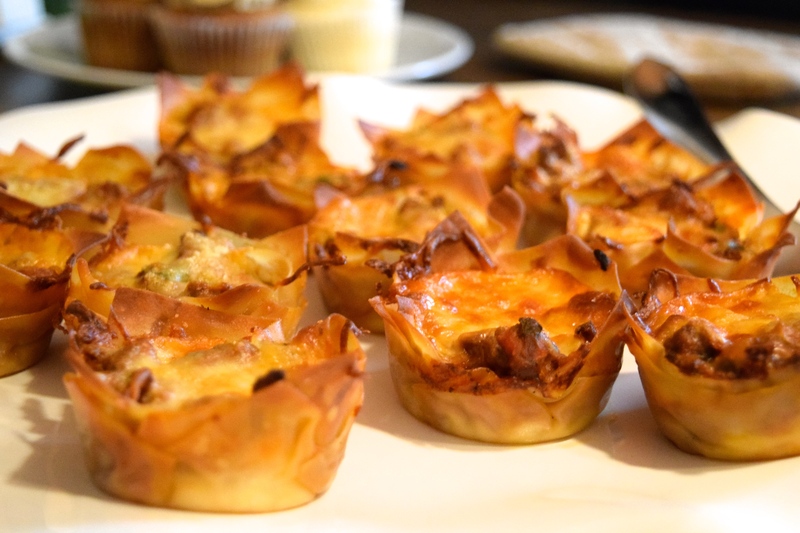 Clearly, I’m really into making pasta dishes into cupcakes these days! (See yesterday’s post!) This was another item on the menu for my friend’s baby brunch. I got the idea of taking the basic ingredients from one of my favorite recipes that my mom makes and putting it all into mac & cheese. 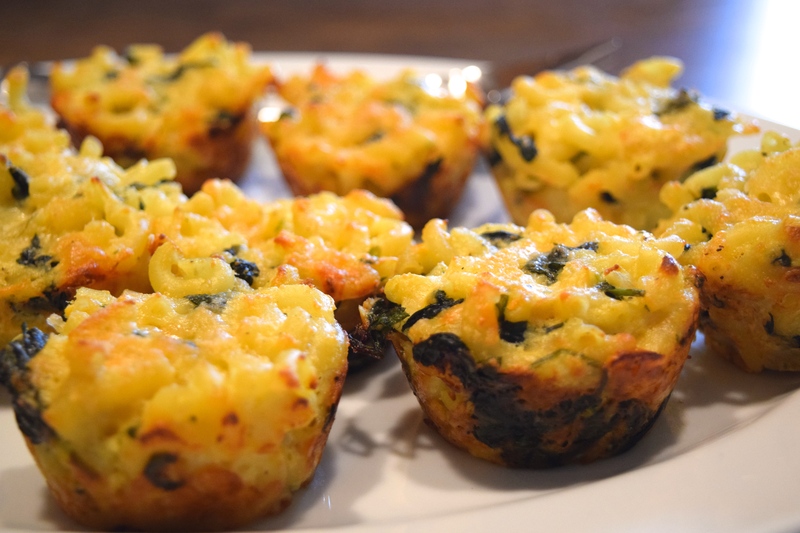 I thought it would be super fun to make it into little handheld treats by using my trusty muffin tin once again. They were super yummy and were a great vegetarian option. Another great party food! Begin by cooking your pasta as directed on the package. While the pasta is cooking, heat 1 tbsp of olive oil in a pan on medium heat and cook the onions and spinach for about 5-7 minutes so that the onions soften and the spinach is wilted. 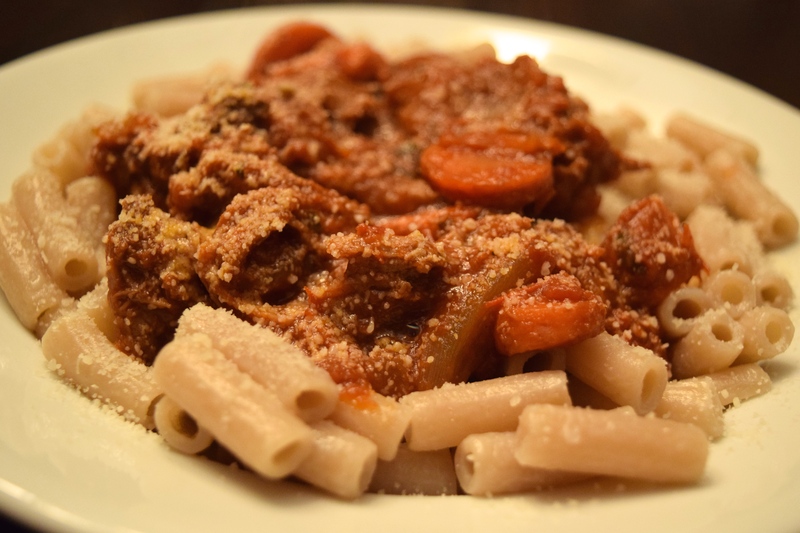 Once the pasta is done cooking, drain any excess water and add the pasta back into the pot. 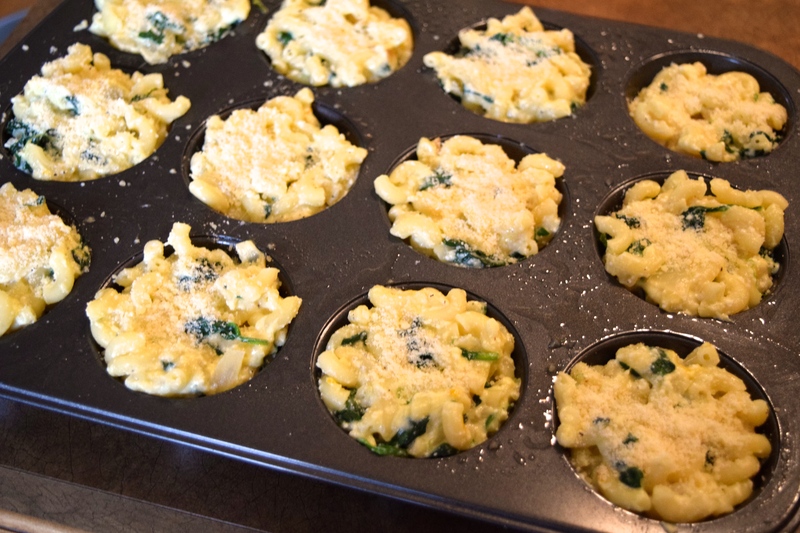 While the pasta is still hot, quickly add in spinach and onions, ricotta, all cheeses, and egg and stir vigorously to combine. Season with salt and black pepper to taste. 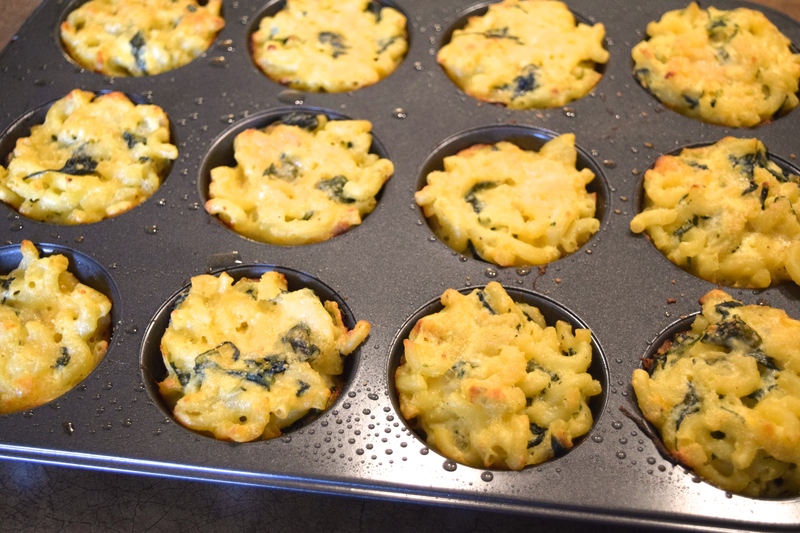 Spray a non-stick muffin pan with cooking spray and put a heaping spoonful of the pasta mixture into each muffin cup, filling it to the top of each cup. 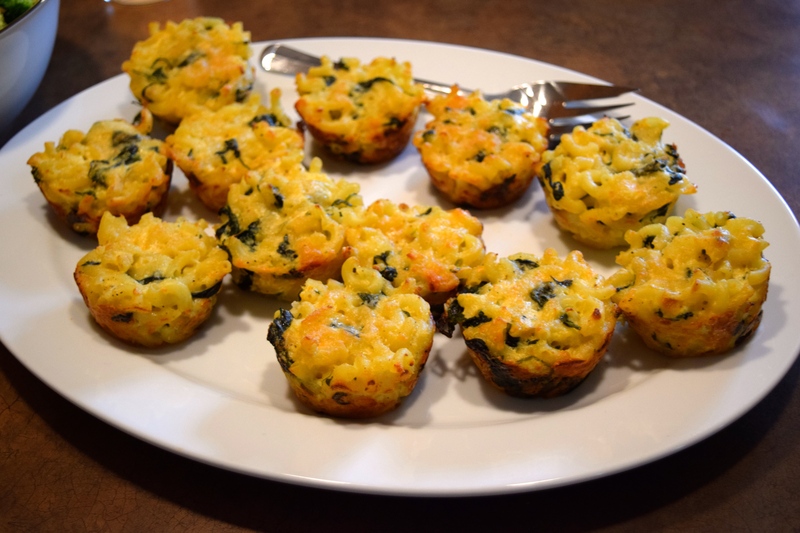 Sprinkle a dash of grated Parmesan on top of each one and bake in a 375 degree oven for about 30 minutes, or until the macaroni is lightly browned and the cheese is melted. Allow to cool slightly before removing from the pan. 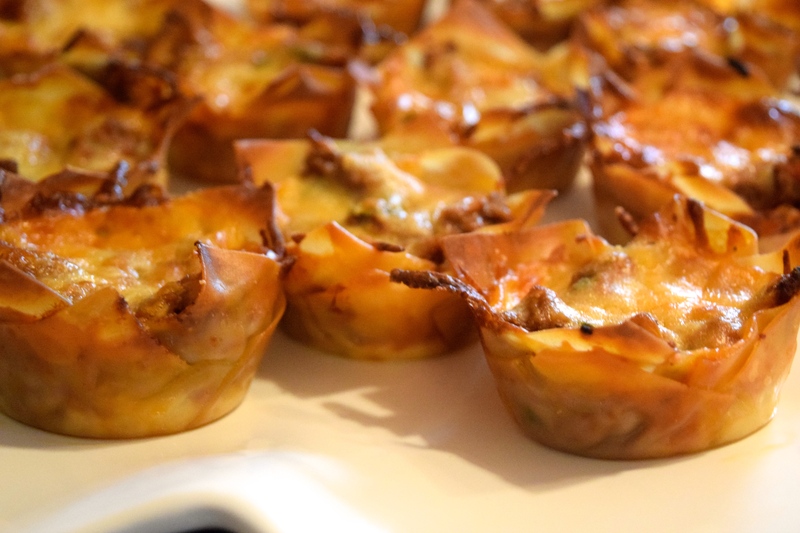 Mini Lasagna Cupcakes with Tomato Basil Meat Sauce. A few weeks ago, I threw a little lunch for my friend Brittany who is having a baby next month. Since it was an early, casual lunch I wanted to make a few dishes that weren’t too heavy and also easy to eat. 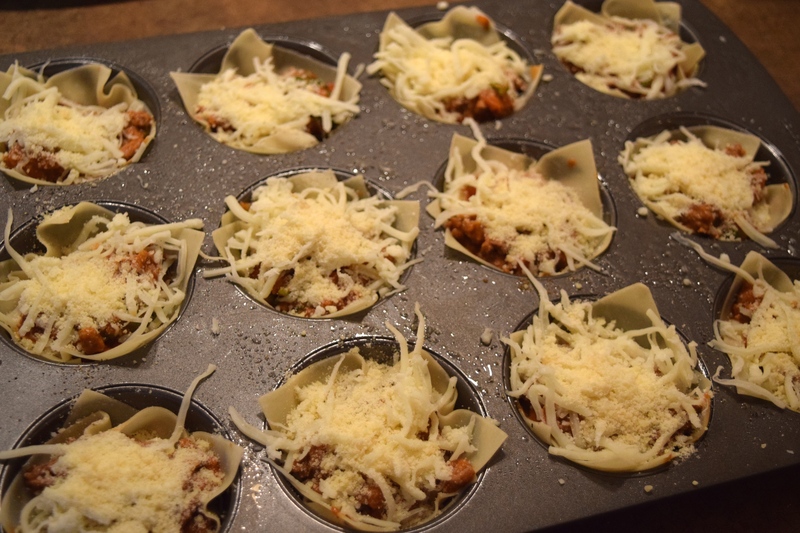 I had seen various posts on Pinterest for mini lasagna cupcakes using wonton wraps so decided to give it a whirl. They turned out really great. They were super delicious and quite adorable, I must say. 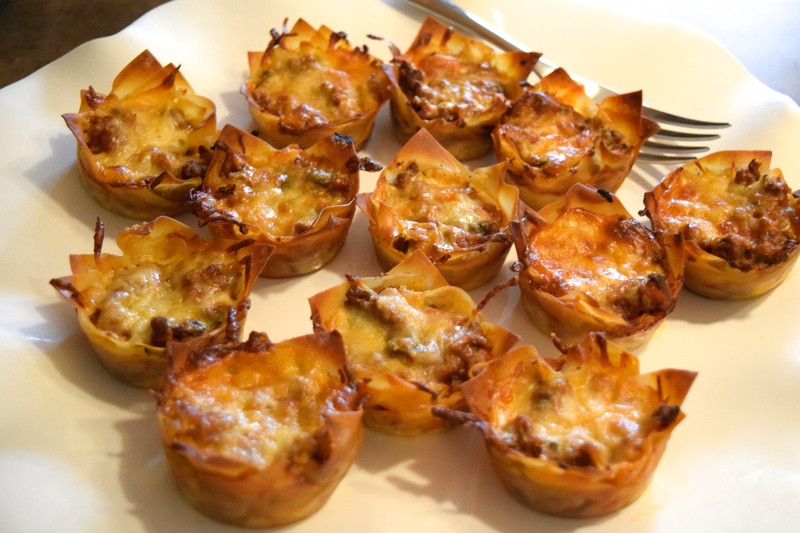 They make an awesome party food… I will definitely make these again! Begin by cooking the ground beef. Heat a pan on medium-high heat and add the meat. Cook for 10 minutes or so until browned and use a spatula to break up the meat so it doesn’t clump together. Once browned, stir in the tomato sauce and basil. Season with salt and pepper to taste. 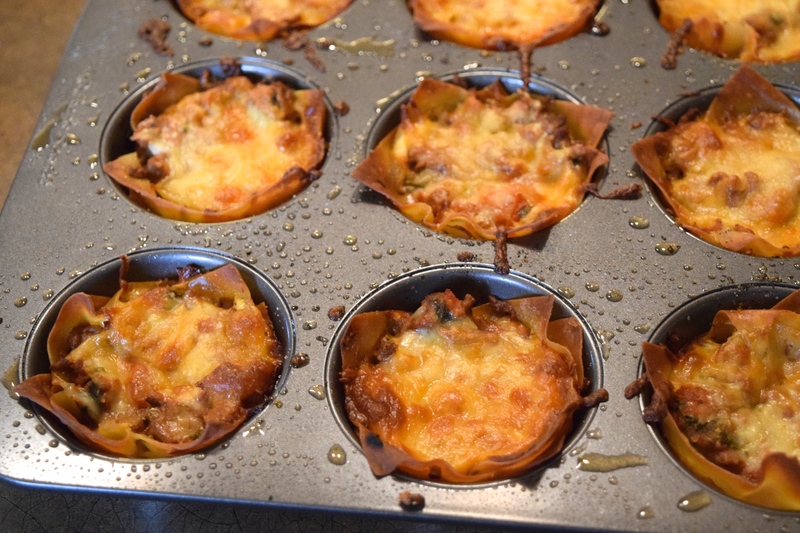 Spray a non-stick muffin pan with cooking spray. 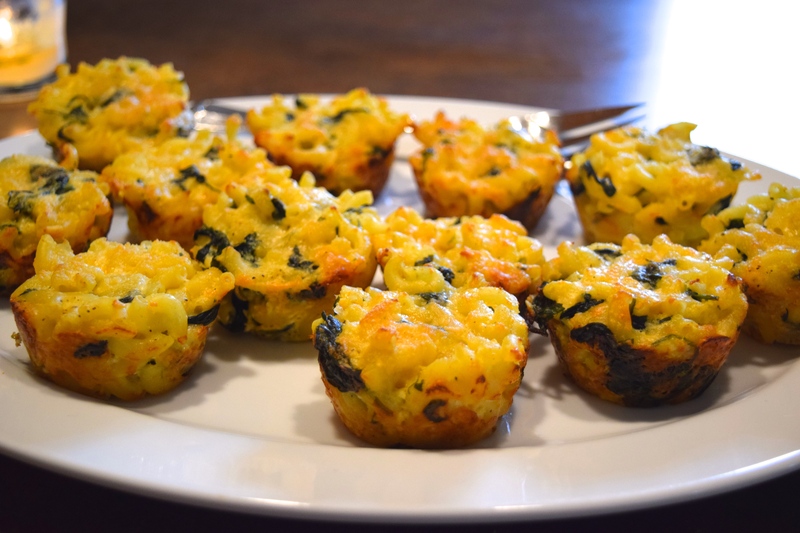 Press a wonton wrap into each muffin cup and then add a small spoonful of ricotta on the bottom. 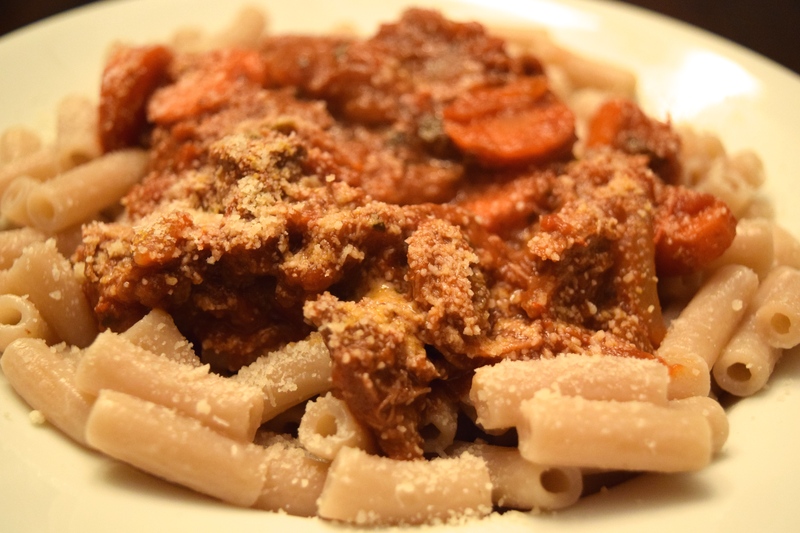 Continue layering with a small spoonful of meat sauce, a pinch of shredded mozzarella and a dash of grated Parmesan. Press a second wonton wrap on top of that, and then repeat the layering process again. 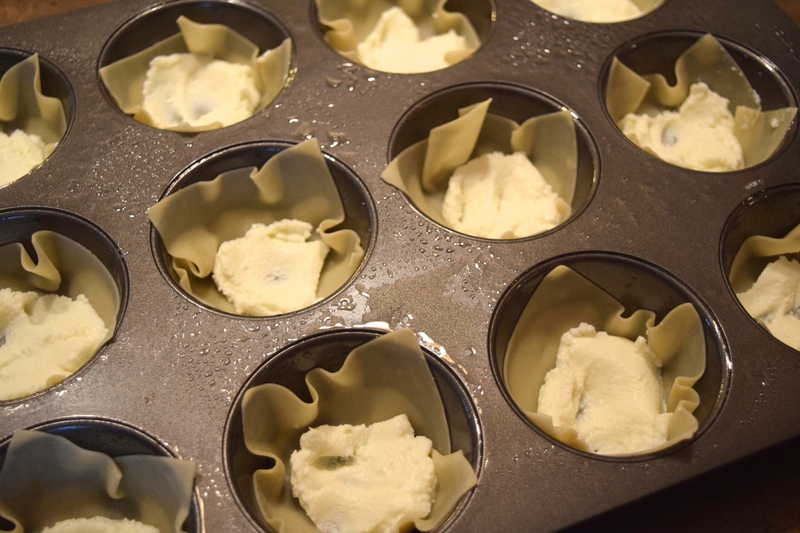 Bake in a 375 degree oven for about 30 minutes, or until cheese is bubbly and the wonton wraps are lightly browned. 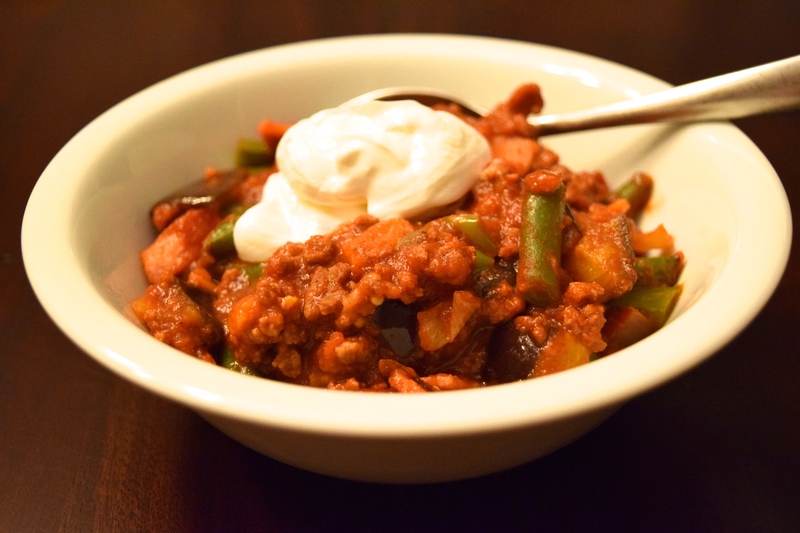 Roasted Veggie Chili With Beef & Bacon. 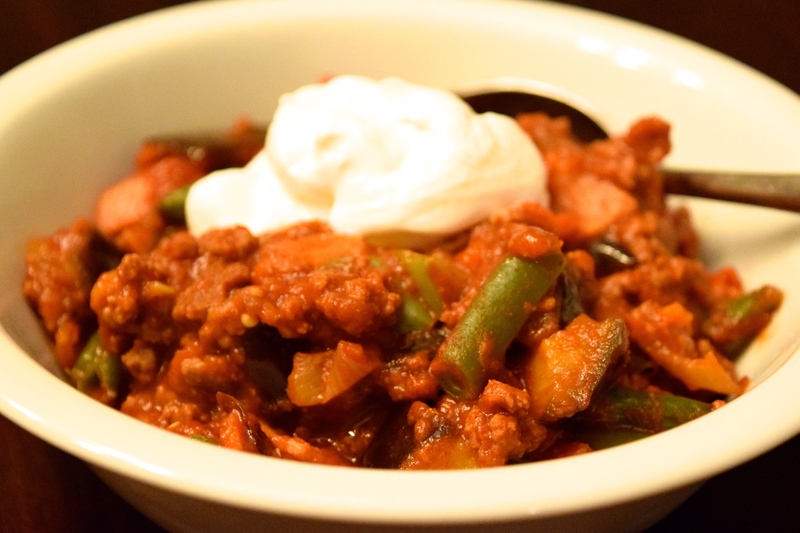 Smoky Beef & Bacon Chili with Roasted Eggplant, Green pepper, Green Beans and Onion. 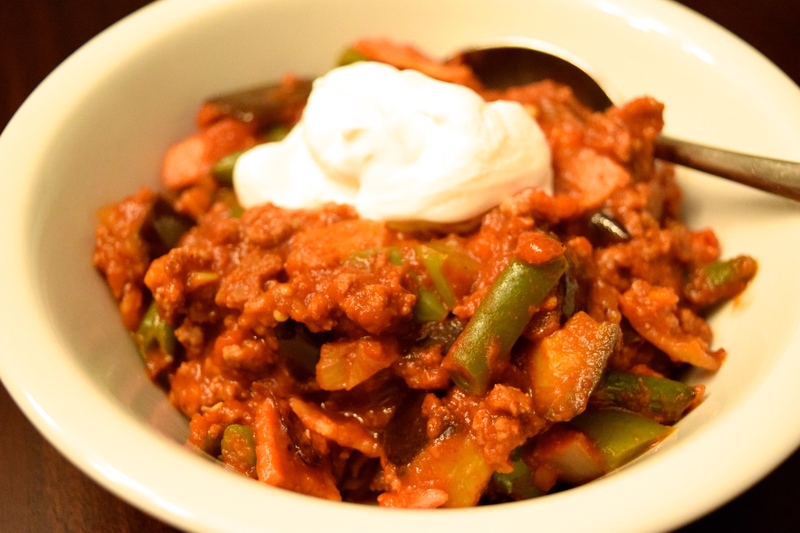 With the chilly weather this time of year, this chili is the perfect dish to warm you up! (Cheesy pun intended!) 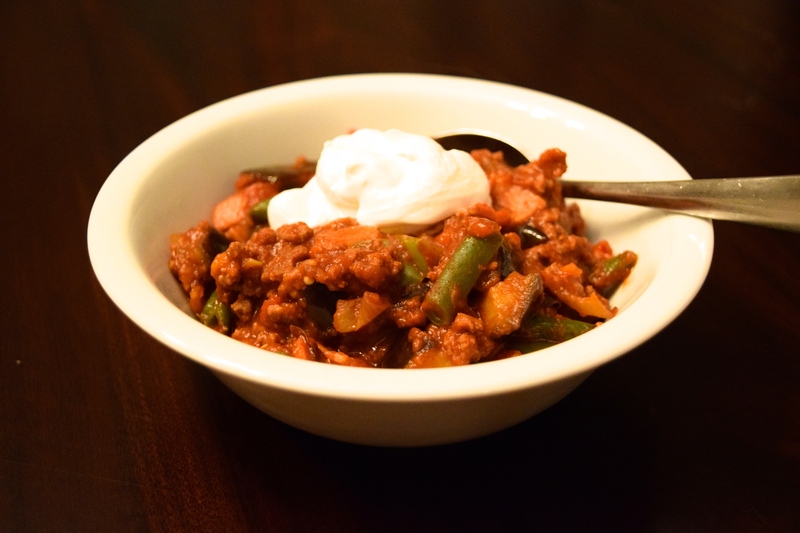 This is a low-carb chili with no beans, although you can always add beans into the mix if you prefer. 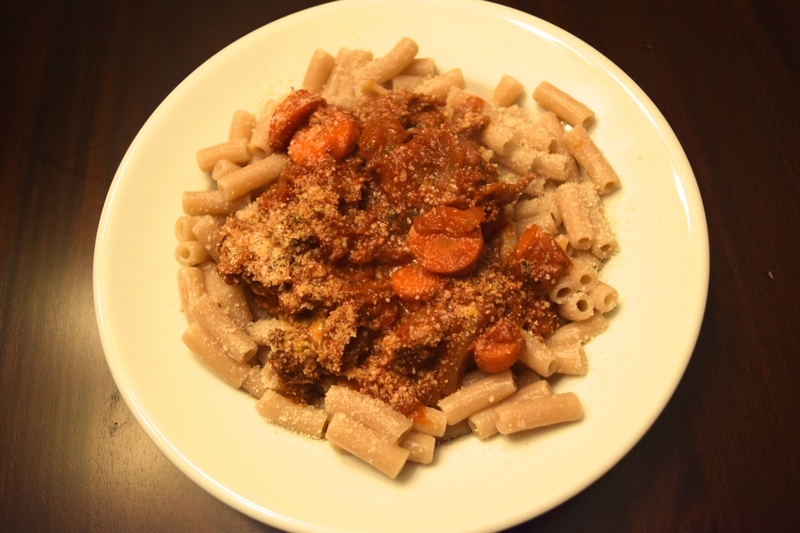 I bulked up this recipe using lots of yummy roasted veggies. I also jazzed it up with some bacon to add a subtle smokey flavor. I’ll be eating this chili all week and can’t wait! 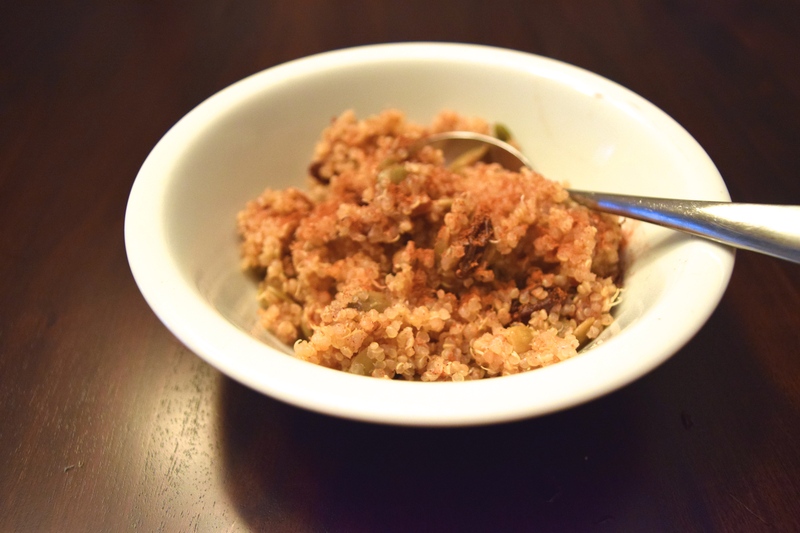 It’s so good and also so good for you! Makes about 6 cups of chili. Begin by roasting your veggies. Add them into a large roasting pan and drizzle with 3 tbsp of olive oil. Season with salt and pepper and roast in a 400 degree oven for about 40 minutes. 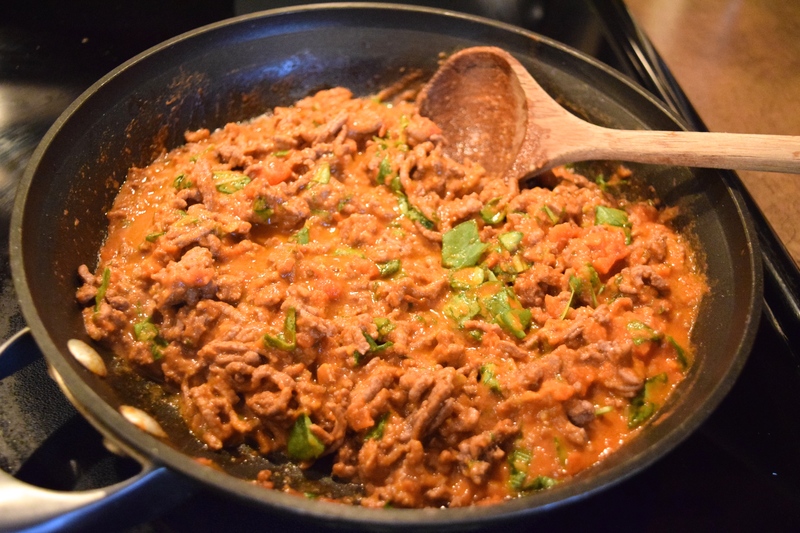 In a large pot, brown the ground beef on medium/high heat. 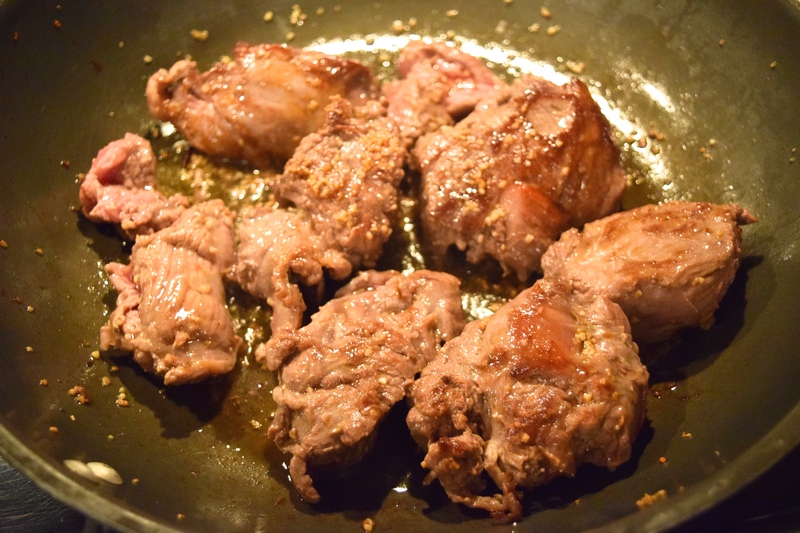 There’s enough fat in the beef that you shouldn’t have to add any oil to the pot beforehand. 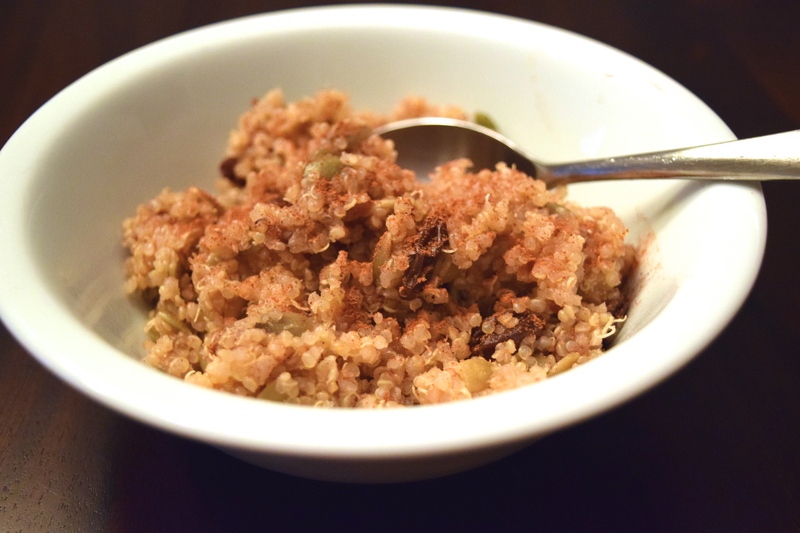 Use a spoon or spatula to break up the meat so it doesn’t clump together as it cooks. Once browned, add in the crushed tomatoes and chili seasoning. Cook the bacon so it’s partially cooked, but not overly crispy. The goal is to get some of that fat out of it. I cooked mine in the microwave on a plate lined with paper towel for 2 minutes. 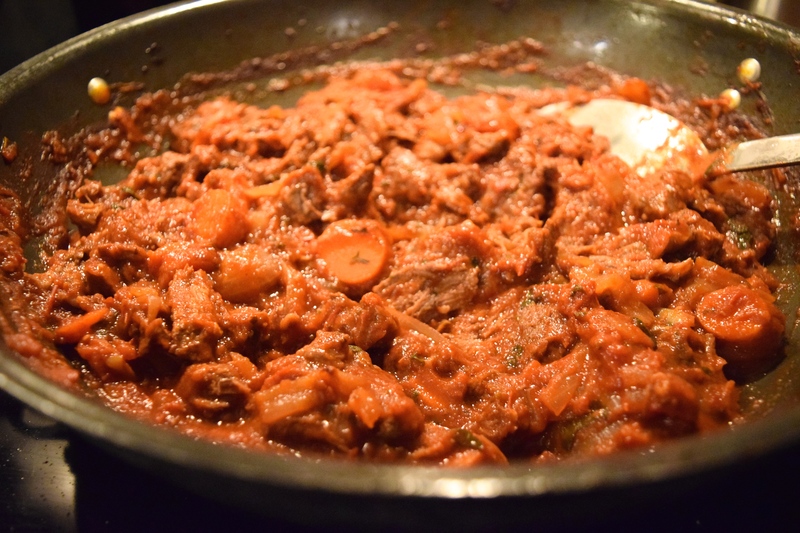 Once the bacon is partially cooked, chop it up and then add it into the beef and tomato mixture. Reduce the heat to simmer and put a lid on the pot. Once the veggies have completed roasting, add them directly into the pot. Season with a dash of hot sauce and salt/black pepper and stir well to combine all of the ingredients. 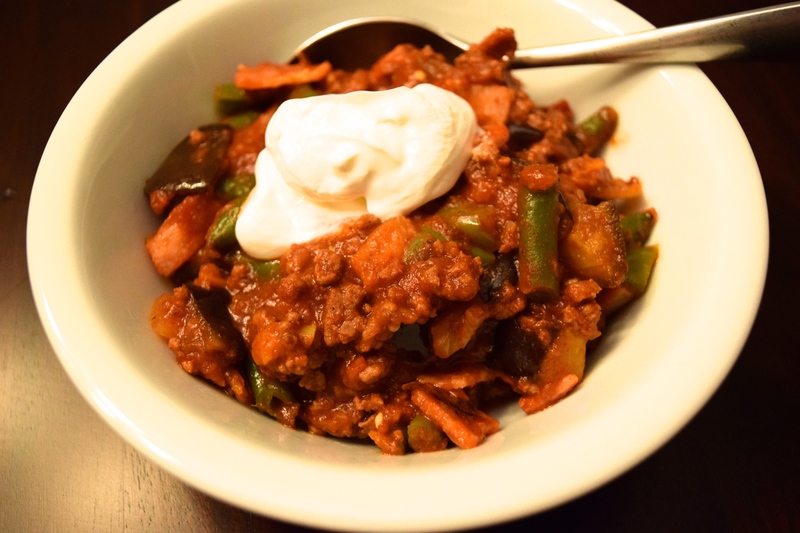 I topped my chili with a spoonful of light sour cream, but you could also top with tortilla strips or avocado. 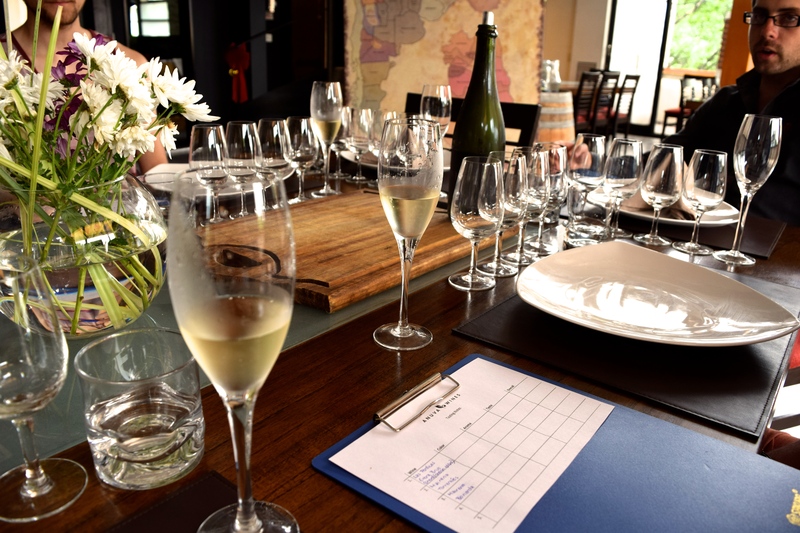 While in Buenos Aires, we wanted to do a wine tasting to experience some of the great wines South America has to offer. 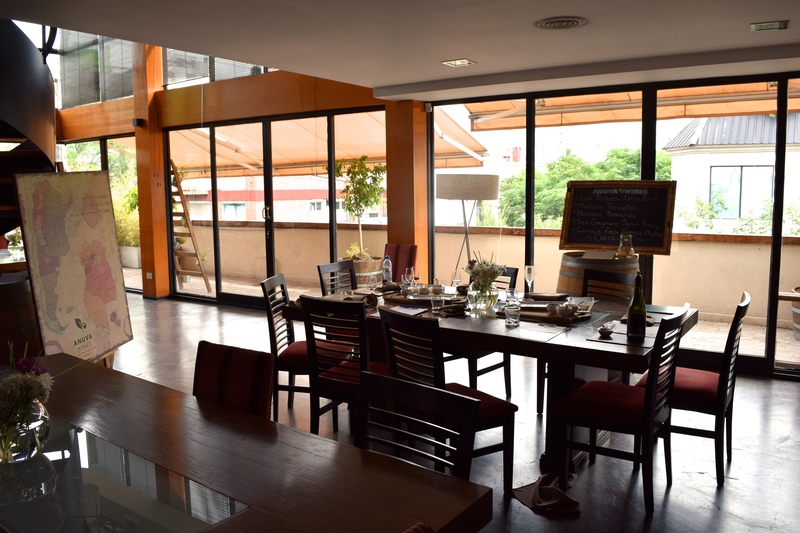 We came across a spot called Anuva Wines while doing some last-minute Google searches on the hotel WiFi and made a reservation for a tasting later that day. 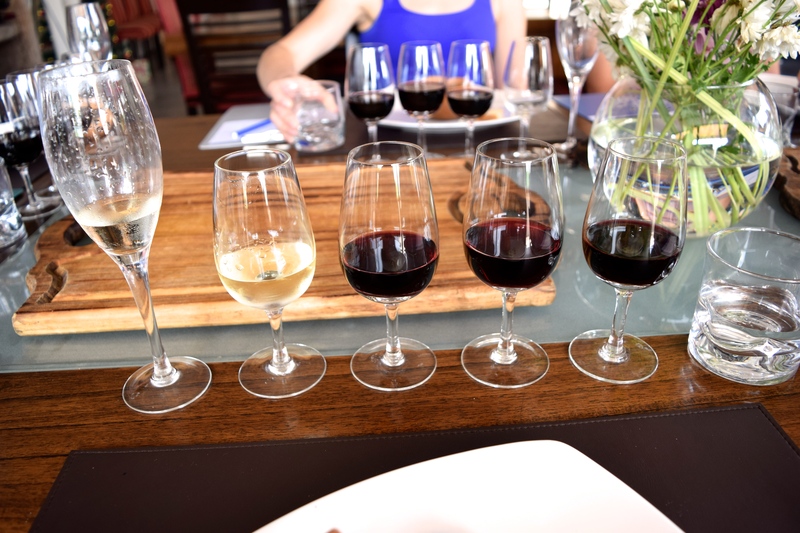 We spent the morning eagerly awaiting our first wine tasting of the trip, and it was worth the wait! Hidden on a side street in the midst of the fashionable Palermo Soho, we found a large, unmarked black door which led us up a steep staircase into an enormous, light filled room. There was a large table of people who looked just as excited as us to start sampling wines. The sommelier was named Diego, and he was great. He gave great explanations of each wine and was happy to refill our glasses as much as we desired, which made me happy. 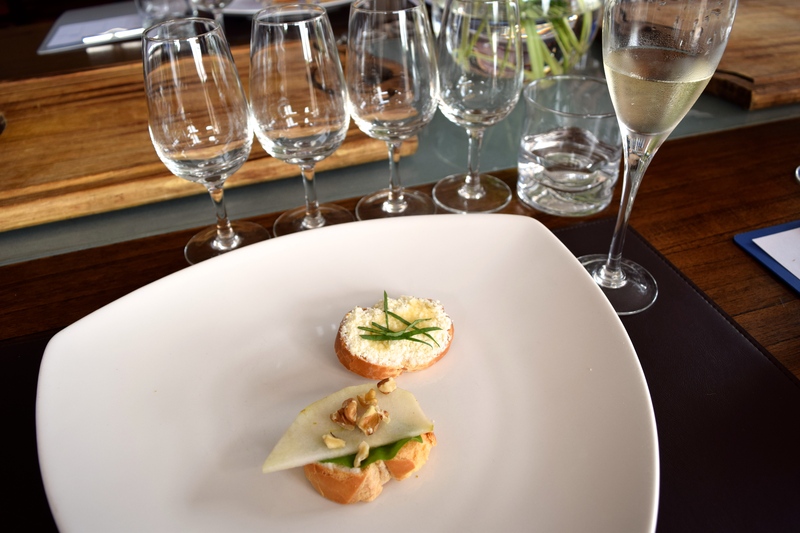 Each wine was paired with a small bite to eat to compliment the flavors of that wine. It was a truly delicious and fun experience. It was probably the best part of our trip to Buenos Aires. 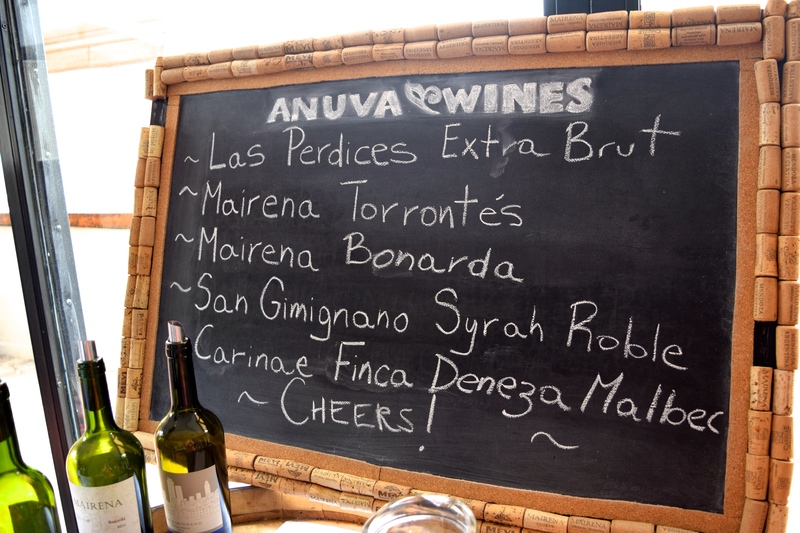 If in BA, definitely head over to Anuva Wines! The first wine that was poured was Las Perdices Extra Brut and my oh my, it was delicious. The wine had a subtle citric aroma and tasted of pear and apple. I drank mine a bit too fast, but it was so refreshing after walking around in the heat. 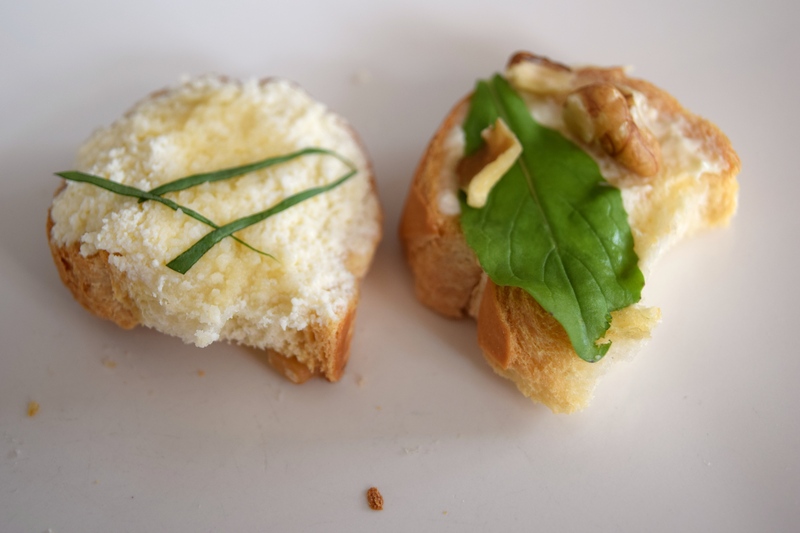 It was paired with two types of crostini: ricotta and lemon & arugula, pear and walnut. We ended up buying a couple of bottles to ship back to the US, so can’t wait to open up a bottle of this once the weather warms up! The second wine served was Mairena Torrontés. This wine had an aroma of tropical fruits and lychee and tasted like grapefruit and apricot. 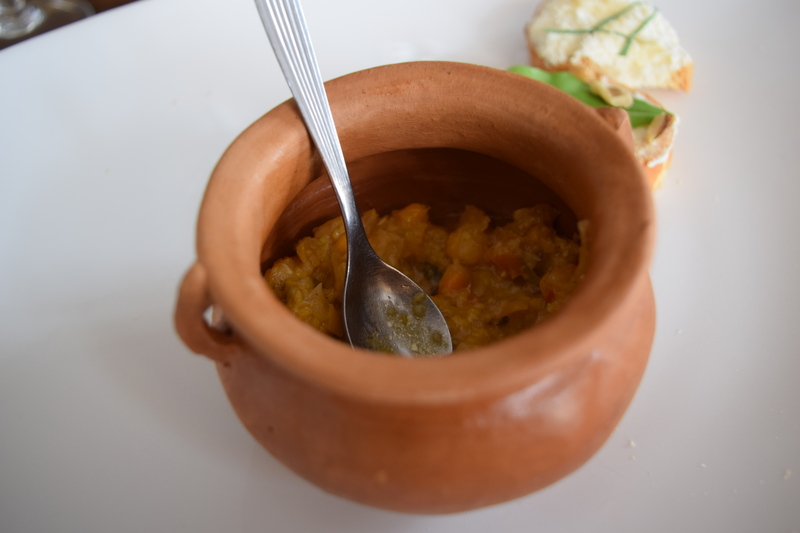 It was was served with humita, which I had never heard of before. Diego was kind enough to write down all the ingredients of the dish for me so I could try to recreate it myself. 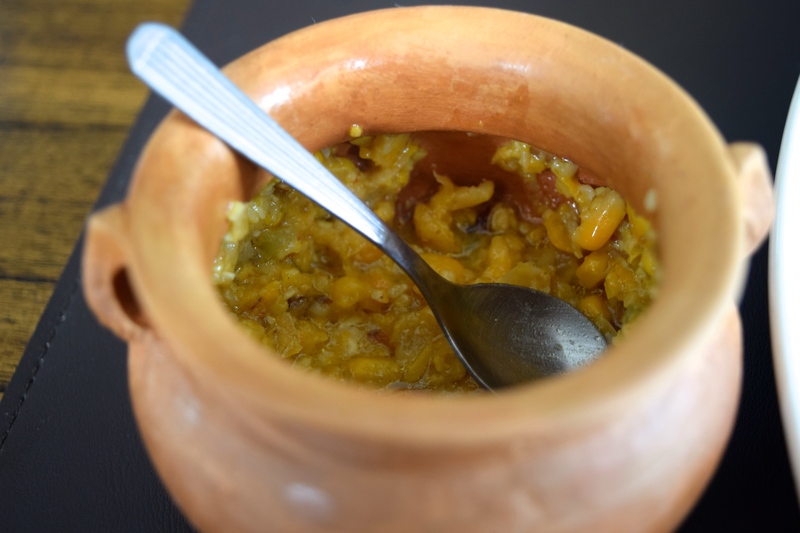 It’s similar to a stew and is cooked with yellow corn, red and green bell peppers, pumpkin, basil, chimichurri, onion, milk and cheese. 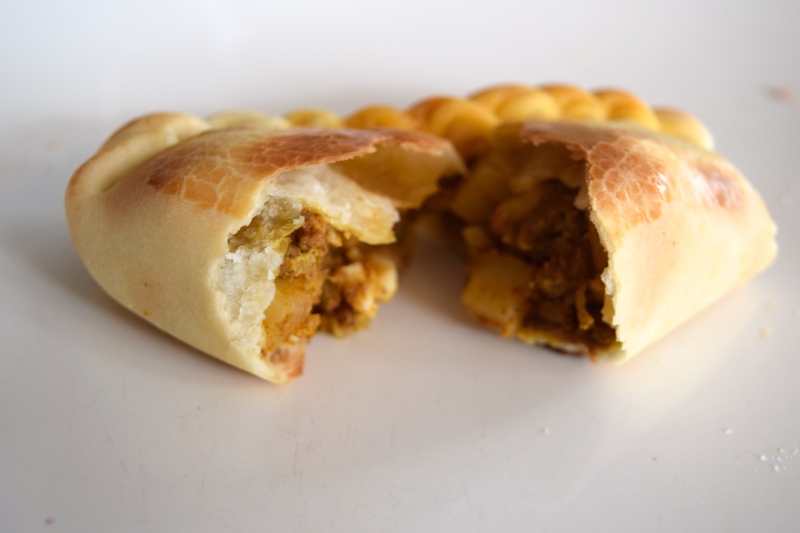 The chimchurri gives it a mild spiciness that paired perfectly with the citric flavors of the Torrontés. The third wine poured was the Mairena Bonarda. The wine had an aroma of pepper, dark fruits and vanilla and had a smooth and spicy blackberry taste. It was served with a selection of cured meats and cheeses. You really can’t go wrong with wine + meats and cheeses, it’s basically the best combination ever. The fourth wine was San Gimignano Syrah Roble. The wine had an arroma of vanilla, violets and red fruit and had a dark, spicy flavor. 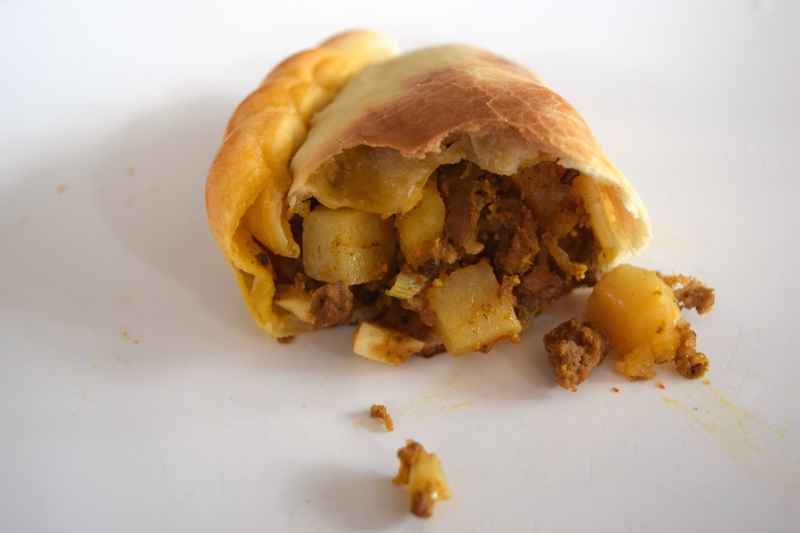 It was paired with a traditional meat and potato empanada. It was perfectly cooked and tasted great with the bold flavor of the wine. Last, but certainly not least, the fifth and final wine poured was a Carinae Finca Deneza Malbec. The wine had an aroma of leather and a deep, bold, tannic flavor. 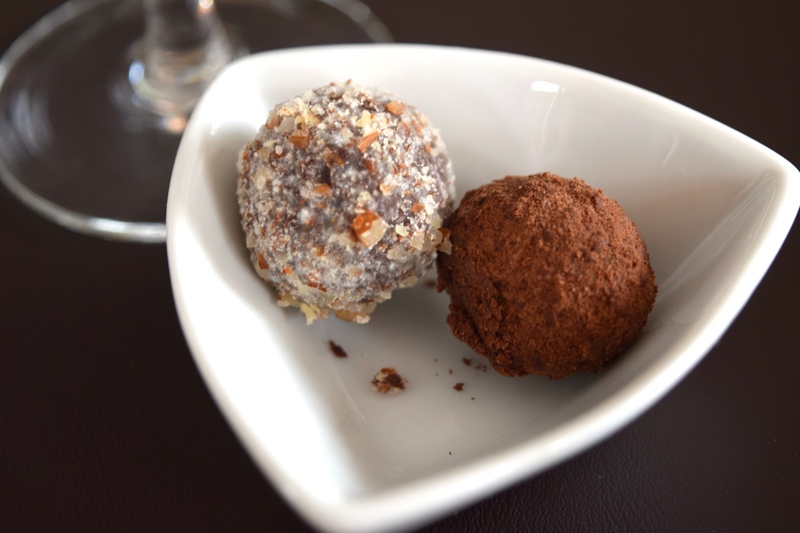 It was served with two delicious chocolate truffles. Now, by this point in the tasting, I was admittedly a bit drunk (and by a bit, I mean really) but even while intoxicated it was still so interesting to see how the tastes of the chocolate changed and enhanced the flavors in the wine. 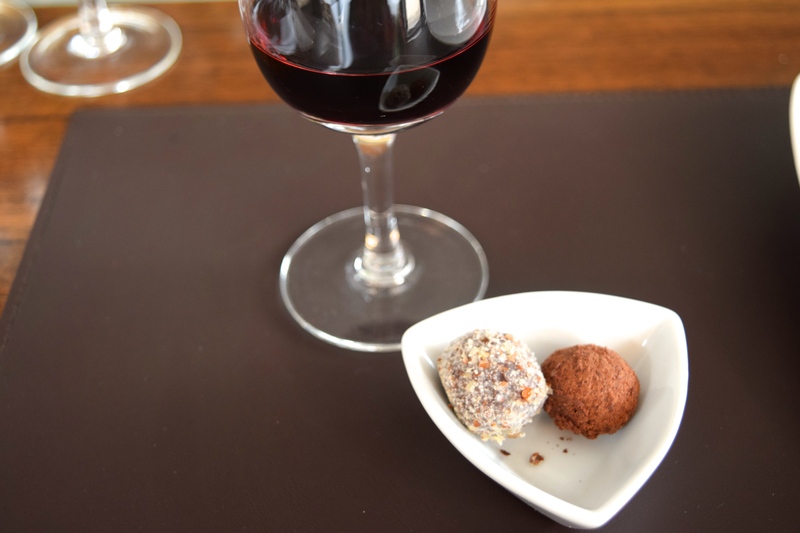 The sweet, rich chocolate was the perfect end to tasting.